Parents wants the best for their children.This is why they make sacrifices for them.However,some parents go an extra mile to make all the decisions for their children,thinking they are building them only to destroy them. Take for instance,parents who choose friends for their children.Or parents who put pressure on their children to attain higher grades than another person's child.Their argument may be based on the notion that all children are be equal,therefore,their children must pass too .This leaves behind the children wondering what is wrong with them.Eventually,they despair as their parents try hard to make decisions on how will they make them pass. 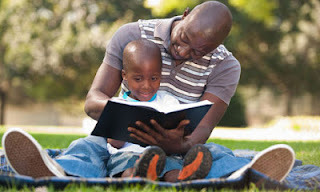 Some parents decide their children's leisure activities,preventing them them from utilizing their talents.Others do not allow their children to be exposed to the word beyond home.They do so in order to prevent them from socialing,getting outside the house and watching television among other activities.All these led to dependent-minded,insecure children with no confidence with herself or himself. Another thing is that some parents even decide for their children the kind of career they should take.For some it is because they want better future for their children.Others want their children to live their (parents') unaccomplished dreams. Children should be allowed to be the person they want to be.If only all of us were allowed to be who we wanted to be and to explore the world around us,then our nation would have countless authentic youngsters pursuing their dreams.The same dreams that some parents may think are for losers. In my view,although parents know what is good for us ,they should allow us to choose what is best for ourselves.